This is my 1914 Warrick Motor Carrier, registered BK 2287. 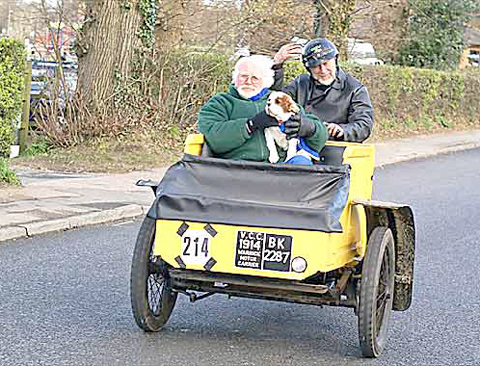 The Veteran Car Club, which issued its pioneer certificate, confirms that it’s a 1914 model, which makes it eligible for the prestigious Pioneer Run. It has taken part several times, most recently in 2007. 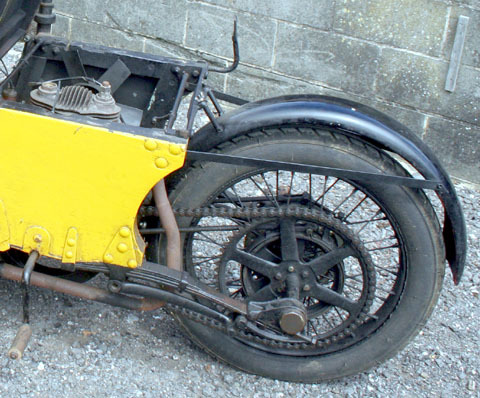 According to its logbooks, it was first registered on 12th March 1921. This is the year that registration became compulsory in Great Britain, so many older vehicles show 1921 as their initial registration date. Steering is of the tiller variety. Push it to turn right, pull it back to turn left. It’s easy enough to get used to it, though the turning circle is not brilliant by comparison with later vehicles. The controls are on the tiller steering column. Throttle is the top lever and the choke is below. Pulling either control lever toward you advances it. When the gear column is forward, you’re in neutral (as in these pictures). First and second gears are obtained by pulling the gear column toward you. The petrol tank can also be observed above. The driver sits above the engine. There is some vibration at a standstill, though it eases when you drive off. Prior to starting, you prime the carb (above) and turn on the petrol tap. You can see the advance-retard lever in the pictures above and below, on the right side of, and just below, the seat. It is adjusted once you’re on the move. You can also see the hub gear and clutch from each side in the photos above and below. The starting handle is on the left of the picture below. 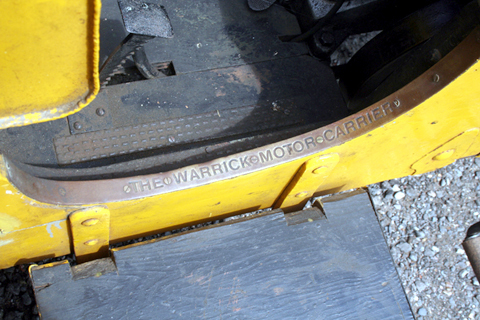 When I bought the Warrick, it had been refitted with a home-made passenger section at the front (see below). 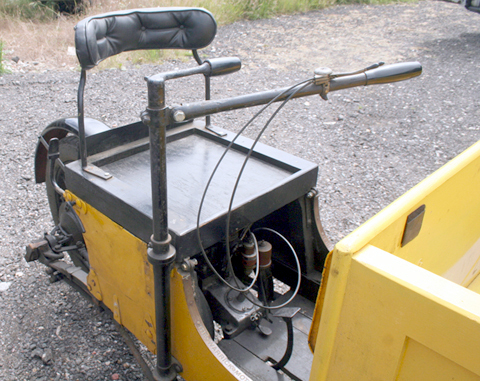 The previous owner had this installed many years ago, and used it like this for the Pioneer Run (below) so that his mechanic could come along for the trip. 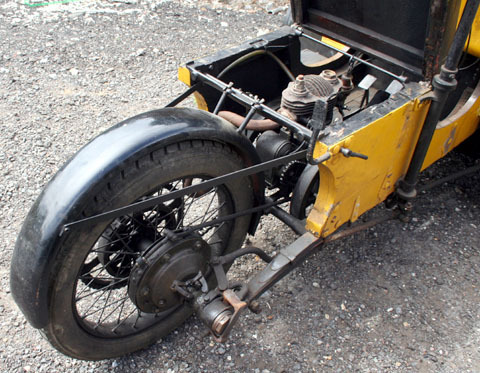 As far as is known, only one prototype Warrick was fitted with a front passenger seat, and that was the Warrick family’s own vehicle, described elsewhere. As Warrick specialized in commercial box trikes and A.C. had already cornered the market in the passenger-carrying ‘Sociable’ model by this time, I assume they (wisely) decided to stick to the model they already had. As BK 2287 retained its original commercial body, which was used pre-war by a bakers in Emsworth, Hants, we fitted it back to the Motor Carrier and now it is resplendent in its original commercial livery. The Warrick’s original box is in excellent condition for a wooden structure that’s nearly 100 years old. 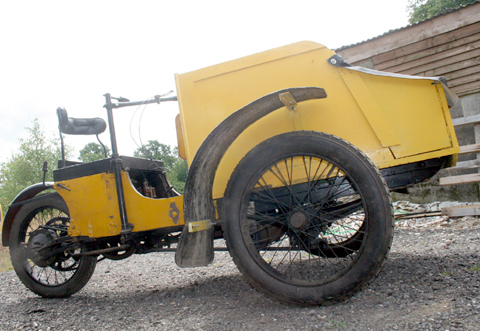 It’s unusual for a vehicle this old to still retain any record of its original sale. Luckily, with this Warrick is a photocopy of the original Bill of Sale, illustrated below. The top of its page appears to have been moved while it was being photocopied, so the name of the supplying company is obscured. However, I can see that it says SOUTHSEA ENGINEERING Co. Kings Rd Southsea. And it appears to have been supplied to a bakers at 168/170 Commercial Rd, Portsmouth. The balance sheet is somewhat confusing, but it looks like they were paying for it in installments. The top half of this page of the ledger book refers to another vehicle, BK 2080. 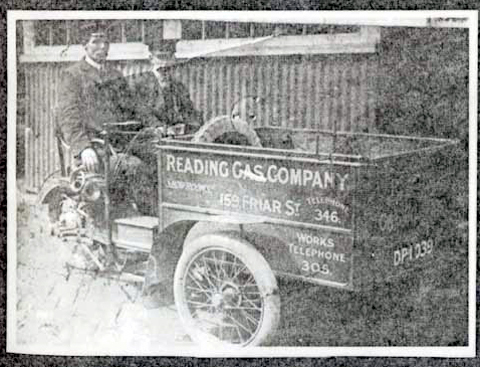 I assume this was another vehicle supplied by this company in 1913. You can see BK 2287 mentioned halfway down, at 25th July 1914. The name Bulpitts is mentioned next to it. (Bulpitts was an engineering company in Birmingham, but I have no other reference to this name). The sale price appears to be £113 5/- and by January 1st 1915 there seems to have been only £6 1/- 8d outstanding on the account. Two pictures taken while we were replacing the original Baker’s Box. I took a run down to Emsworth last week and had a drive through Prinsted. It’s a beautiful little village. However, no clues as to the location of O. Bailey and Sons. But on Friday I received a call from Gill at Emsworth library, who has been checking their records for me: she confirms that the 1937 Havant Directory lists an O. Bailey at the Old Post Office in Prinsted. She also recommended I contact West Sussex Record Office in Chichester, as Prinsted is not actually in Hampshire, but just over the border in Sussex. It also mentions a Mrs. Bailey living at the Old Bakery, and talks about a Bailey’s Coalyard in Prinsted Square. We seem to be making some progress. 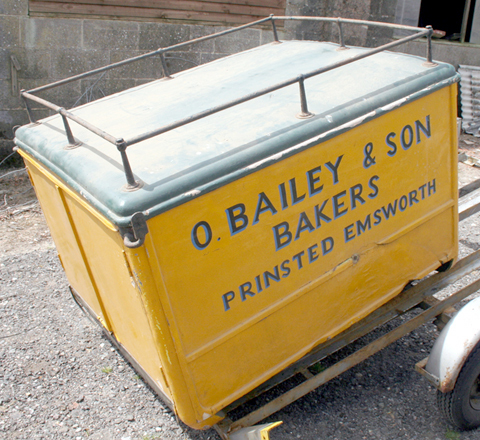 Perhaps I’ve not been able to find any mention of O. Bailey the Bakers because it was actually known as O. Bailey the Post Office! Diane also suggested I contact Southbourne library. Co-incidentally, when I phoned them, a Mr. McDougall from Prinsted was at the library, and he has a serious interest in the heritage of the village. He’ll now add some photos of the 1914 Warrick to a heritage publication he’s preparing and hopefully, in due course, someone from Prinsted may get in touch to add their memories of Bailey’s the Bakers and their Warrick delivery vehicle. Mr. McDougall also checked an 1890’s census, and found a George Bailey “baker and victualler” at the Harvest Home Inn, which he says was on the corner of Prinsted Square and the part of Prinsted Lane that is east of the square (the thatched building on the extreme right side of the picture below?). He also reports that the post office was on the corner of Ham lane. I wonder if that’s the location of the Old Bakery?